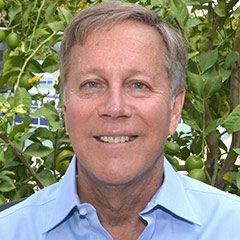 Dana Gioia is the Poet Laureate of California. An internationally recognized poet and critic, he is the author of five collections of verse, including Interrogations at Noon (2001), which won the American Book Award, and 99 Poems: New & Selected (2016). His critical collections include Can Poetry Matter? (1992), which was a finalist for the National Book Critics Award. He has also written three opera libretti and edited twenty literary anthologies. Gioia served as Chairman of the National Endowment for the Arts from 2003 to 2009. Gioia was born in Los Angeles in a working-class family of Italian and Mexican heritage. He was the first person in his family to attend college. He earned a BA and MBA from Stanford and an MA from Harvard. He has been awarded eleven honorary doctorates and many honors, including the Laetare Medal from Notre Dame, the Presidential Civilian Medal, the Poet’s Prize, and the Aiken-Taylor Award in Modern American Poetry. He is currently the Judge Widney Professor of Poetry and Public Culture at the University of Southern California.